So, we are four weeks into the School holidays. We have had many an adventure, but most of the time I’ve been working, a girl has to pay the bills! During this time the boys are entertaining themselves by playing lego, watching endless episodes of Stampy on you tube (god I hate him!) and scooting up and down the pavement out front. During these few weeks our house has been trashed. Yup, I don’t want to clean when I’m not working – I want to be with my boys having fun. So when I look round me, I see the dust, the mess from having everyone at home, the general dirty and untidy state of this little place. In September, I keep telling myself, I am blitzing this old house and decluttering, cleaning and painting. 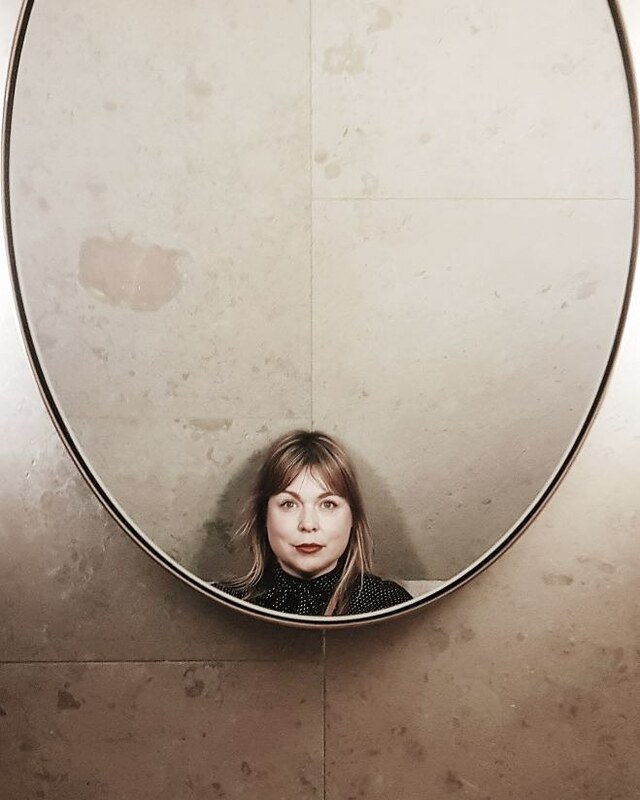 Starting from the outside in. Our front door was painted five years ago a bright shade of yellow. Super bright and very sunny. But over the years it has faded, no longer crisp and I’m certainly not feeling its sunny vibes. Time for a change. In fact my entire entrance could do with an update. (think dirty finger marks on white walls, and scuffs from scooters and bikes). 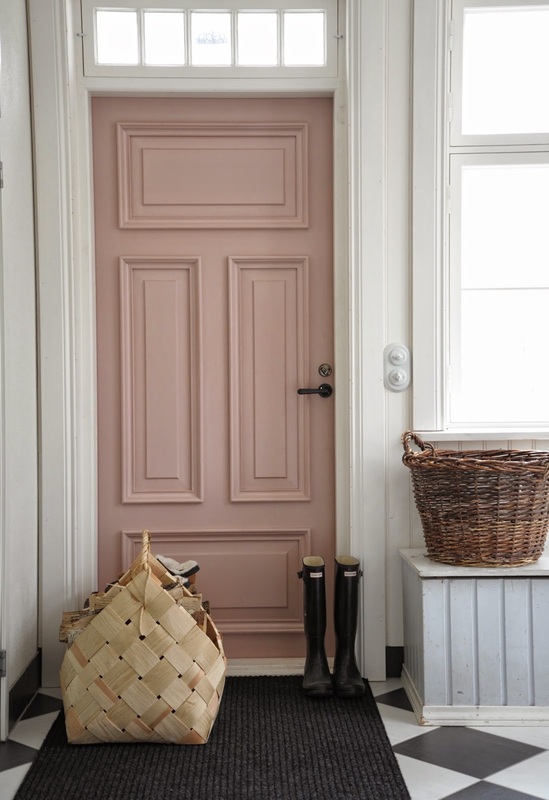 I’ve been looking through paint charts and inspiration on Pinterest and found this pretty pink door. Could I do pink? As a long time fan of Farrow & Ball Paints, this pink looks very much like Cinder Rose. So what do you think? Pink for the front door? Or will it really annoy my youngest son? Yes I think it will – but hey ho! All words and opions are my own. When we painted our front door green a year ago, I made a very strong argument for fuscia! It was a bit of a joke, since I don’t think I could really live with a bright pink door, but I am the only dose of oestrogen in a house of four males and my theory was that if everything else in the house is girly-free, at least we could enter it through the most female of colours! Awesome!! I love the picture! The pink is lovely and I like the way the inside has been painted too. I recently redid my hall way and it has really altered the way I feel when I come into the house. It is well known that all the cool boys love punk!